The location of fish is affected by fish comfort and the availability of food. Both of those factors are affected by sea surface temperature and because of that, each species of offshore game fish has a sea surface temperature range they prefer and a wider range outside of which they will rarely be found. Premium members can use Buoyweather's high-resolution SST Charts to know which locations have the ideal sea surface temperature. Together with Buoyweather's Chlorophyll Charts, you will have the best tools for finding the fish. If you are not already a Premium member, sign up for a 15 day free trial so you can see high resolution SST Charts for your fishing locations. START A FREE TRIAL NOW. A daily, global Sea Surface Temperature (SST) data set is produced at 1-km by the JPL ROMS (Regional Ocean Modeling System) group. The input SST data sets are derived from the Global High-Resolution Sea Surface Temperature (SST) Pilot Project (GHRSST-PP) and include infrared (IR) sensors AVHRR, Moderate Resolution Imaging Spectroradiometer or MODIS, the Geostationary Environmental Satellites (GOES), and microwave sensors (e.g., Advanced Microwave Scanning Radiometer Earth Observing System or AMSR-E), Tropical Rainfall Measuring Mission Microwave Imager or TMI. The in-situ SSTs obtained from the Global Ocean Data Assimilation Experiment (GODAE) consisting of thousands of daily ship and buoy SST measurements are also used. 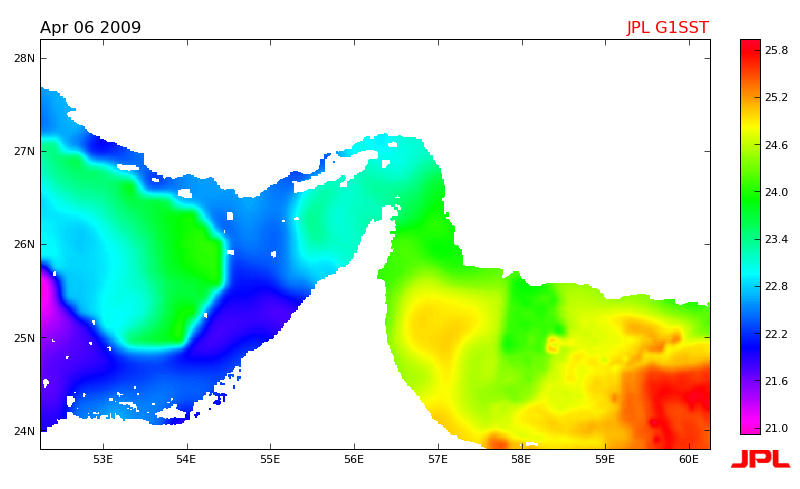 The goal is to provide a global optimal estimate of SST at the highest possible spatial resolution. To access the SST Charts, go to your fishing location using the navigation menu on the left. Once you have clicked on your exact latitude/longitude, the fishing tool option for "Sea Temp Charts" will appear to the left. Try it out now!